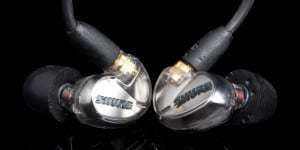 Sony continue to bring out quality in-ear headphones in the face of quite severe and controversial criticism from some members of the audiophile community. 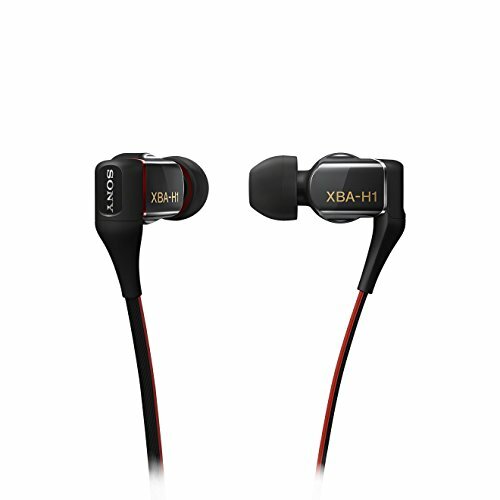 Good for Sony we say because, if you’re seeking a great listening experience at a good price then the Sony XBAH1 In-Ear Headphones are perfect for your needs – it’s a triumph of simple and straightforward production with all the hallmarks of Sony’s no-frills approach. Let’s get to the Sony XBA-H1 Review. 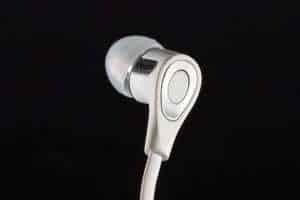 Well built throughout, the Sony XBAH1 In-Ear Headphones are lightweight and feature shiny, metallic-colorer plastic buds that have the Sony brand name on. On the underside, color coding indicates left ear/right ear. For any anarchists out there, you’ll be delighted with the flat cabling which is red on one side and black on the other. In keeping with functionality rather than extras, you won’t find a microphone or volume adjuster along the cable so okay you will need to keep your phone handy. Many in-ear headphones don’t deliver much on noise isolation, but once you get the right fit with the Sony XBAH1 In-Ear Headphones ear tips you’ll be listening in more peace than you ever imagined. Sony provide seven pairs of silicone tips and three foam pairs, so you have just try them out in various environments to get the best result. Apart from the benefits of noise isolation, the Sony XBAH1 In-Ear Headphones shapes up in the sound reproduction stakes. Firstly, its hybrid driver design of a combined dynamic driver and a balanced armature driver is frankly breathtaking. Remember, dynamic drivers are great at handling bass response whereas the armature is excellent at mid-range. 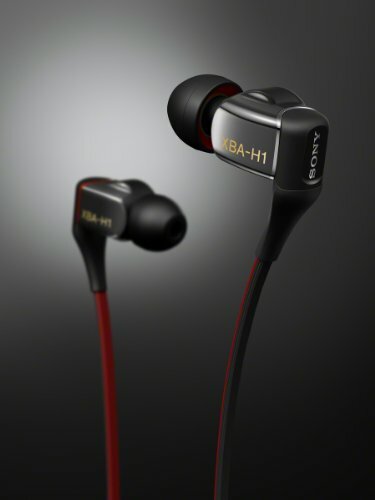 So imagine, somehow Sony have put both together in their XBA-H1 and given us audio buffs the best of both worlds. 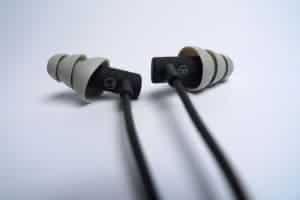 With these buds in your ears, you get crispness and quality of sound on midrange and solid, controlled bass. Are you a huge fan of the Sony XBA-H1 headphones? We’re sure you’ll like our Best Bluetooth Headphones for Running post too!